Melbourne Cup is a horse racing carnival and event that is very dear to many people’s hearts in Melbourne, Victoria, Australia. 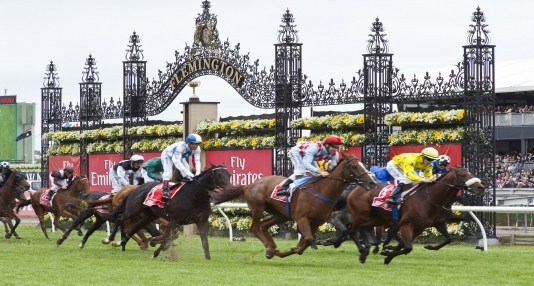 It take place every year in the beginning of November and Melbourne Cup Day itself is a public holiday in Melbourne, so most people have a day off work. The atmosphere of the event is fantastic- women wear beautiful dresses and hats, men also dress up. Some people love to shock with their costumes but most dress elegantly and in good taste. 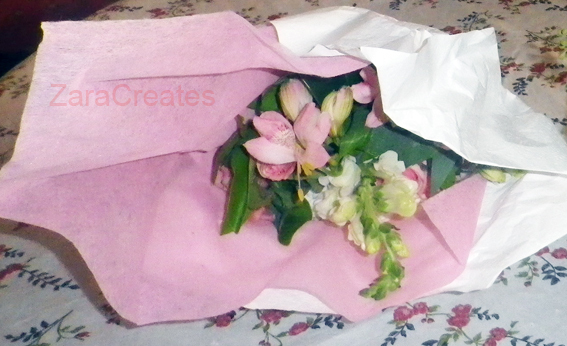 This post is a special dedication to my young aunt Nune, who sadly passed away in her early 40s in January 2014. 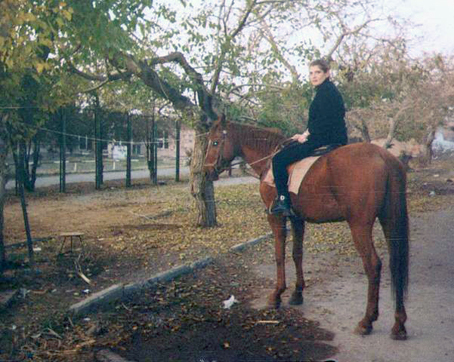 She adored horses and was a keen rider in Yerevan, Armenia. She dreamed of going to the races, be it the Liverpool’s Grand National Steeplechase, the Ascot Races or the Melbourne Cup. She would be the most beautiful and happy woman there, wearing a gorgeous green hat to match with her lovely green eyes! 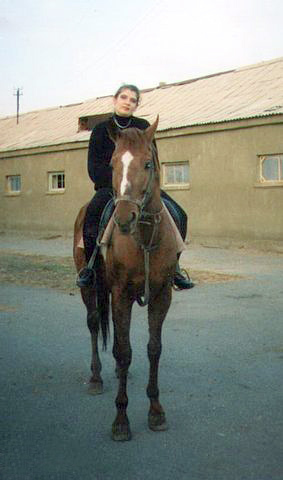 This is Nune, riding her beloved horse Kaznachey in Charbax, Armenia in 2001. 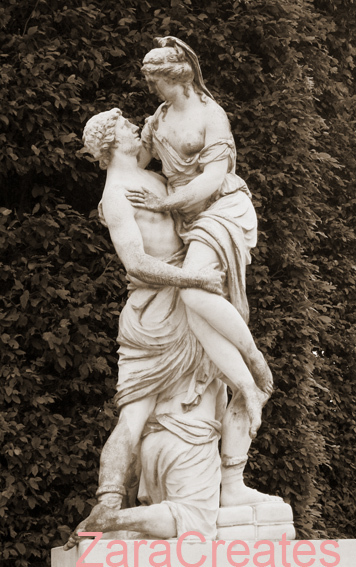 A picture of union, grace, love and trust of two beautiful beings! This year, as I watched the Melbourne Cup, Nune was also watching from above! As I live in Australia and she lived in Armenia, we communicated over the Internet by typing messages. We often talked about horses and I want to share with the world, how Nune felt about horses. She talks about her love for horses, gives information about books and movies she loves-“Favourite” film, about the intelligence and training of horses and how horse racing is in a sad state in Armenia. Аааааааааааааааааааа!!!!!!!!!! Хочу на скаааааааааааачкиииииииии!!!!!!!!!!! С тобооооооооооой!!!!!!!!!!!! Ничего, доберёмся ещё мы до скачек!!! А лучше всего до ЛИВЕРПУЛЬСКОГО СТИПЛЬЧЕЙЗА, если его ещё проводят…..что-то ходили слухи……Раньше по телеку и Ливерпульский показывали и Пардубицкий….НО! Пока мы туда не дошли, почитай детективы Дика Фрэнсиса. Они все про мир конного спорта и отлично написаны. Тебе понравится. Самый известный называется ФАВОРИТ,по нему и фильм снимали. Лошади очень умные,думаю,что намного умнее и собак и кошек.Они очень верные,сильные,привязчивые…У каждой свой характер,к каждой нужен свой подход. Но есть проблема…….они все от природы плохо видят и очень хорошо слышат.Это делает их пугливыми,а когда лошадь испугалась-это кошмар:они несутся не разбирая дороги,шарахаются и т.д. и т.п.Поэтому кавалерийских лошадей,лошадей для конной полиции,цирка и кино специально потихоньку приучают к шуму. Фиоренте (2013 Melbourne Cup winner) мне очень понравился,отличная скаковая лошадь.В скачках участвуют исключительно лошади англиской чистокровно-верховой и чисокровной арабской пород. Отдельные скачки проводят для ахалтекинцев и ,иногда,для полукровок.Скачут всегда лошади одной породы 2,3,5 лет.Это связано с тем, что у разных пород разные способности и данные. Любую скаковую лошадь представляет владелец,тренер и жокей. желающим сыграть на тотализаторе предоставляют услуги букмекеры,но часто это мошенники.Красота лошади ещё ничего не говорит о её способностях,поэтому любители скачек много времени проводят на ипподроме:смотрят,слушают,запоминают родословные лошадей,их победы,тренеров,жокеев и т.д. Это свой мир,очень интересный,затягивающий…..
У нас, увы,конный спорт сгинул безвозвоатно.Попытки восстановить тотализатор были,но лошадей не хватает и трасса….как для камикадзе…….Поэтому помечтаю-ка я о Ливерпульском стипльчейзе…….А ВДРУГ!………тем более это не совсем скачки….это больше чем скачки….. I am happy that I could express Nune’s love for horses here and share her precious photographs. I am sure she would be excited. Not all people have passions and hobbies in life but Nune was lucky to have this passion for horses, which enriched her life and gave her a lot of happiness! 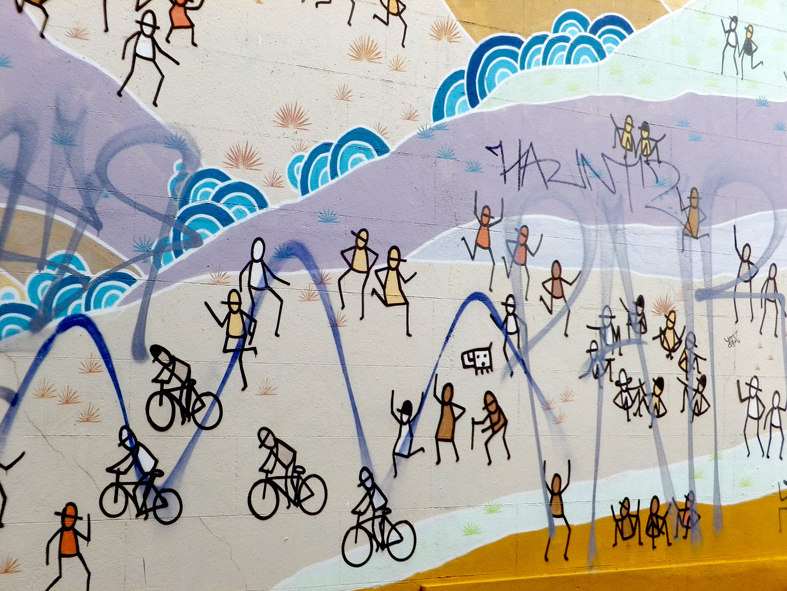 Graffiti- an art form or vandalism? 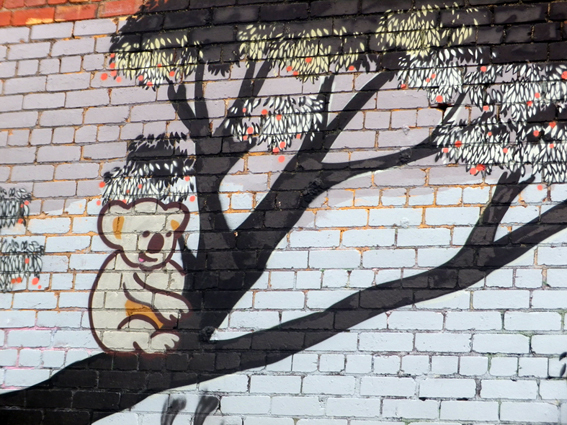 I recently found myself in Fitzroy, a suburb which is located 2 km north-east of Melbourne’s CBD in Australia. It has a charm and a bohemian village feel to it, which is interesting because it is so close to the busy city. Historic double-storey terraces and quaint Victorian cottages are expensive here, mostly well above $850 000. The suburb has leafy narrow streets. I didn’t expect to find so much graffiti here. When I hear “graffiti”, I immediately think of vandalism on the walls of buildings, someone’s name or some offensive words scribbled in train carriages, on fences, bridges, etc. Wikipedia defines Graffiti as-“writing or drawings that have been scribbled, scratched, or sprayed illicitly on a wall or other surface, often in a public place”. It is very often the case. What do you think? Does graffiti add interest to your city? Next time you are out, check out your local graffiti! Does it add colour, evoke emotions such as surprise and pleasure or does it annoy you and should be taken off? Comments are welcome! 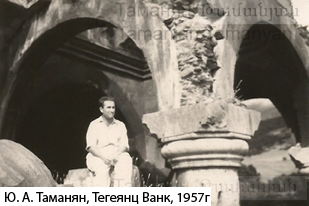 Armenian architect Julius (Yuliy) Tamanian (1922-1993) was my grandfather. I would like to pay tribute to him and tell you about his life and legacy. 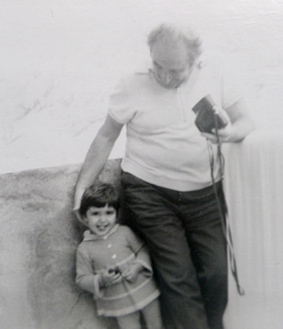 I remember him as a wonderful, gentle, loving, modest man, who read to me books in Russian and Armenian, sliced delicious Swiss cheese for my lunch, picked me up from school, danced with me standing on top of his shoes and whistled arias from well-known operas. My grandfather was wonderful. He was well-read, loved music, the arts, nature, traveling, drinking tea… His laugh was almost silent but his body shook all over! He loved photography and developed his own black and white pictures. I think I have inherited his love of photography! Recently I found a picture of my then newlywed grandparents, young, slim and beautiful, sitting next to each other and I noticed a camera in the hands of Julius. As early as 1952 he took a selfie! That’s remarkable! My grandfather loved his country Armenia with its beautiful countryside, cold and tasty tap water, magnificent Mount Ararat, lake Sevan, apricot and pomegranate trees and of course its beautiful churches and architecture. When I was little, I didn’t realise what he was doing while drafting at his large table at home. Only recently I read his books and felt very proud! My grandfather and I at 10 years of age and feeling very tall! Julius Tamanian (Юлий Александрович Таманян) was an architect and the youngest son of the renowned Armenian architect, Alexander Tamanian (1878-1936) and his English wife, beautiful Camilla Edwards (1885-1964), the grand-daughter of a famous Russian architect Nikolai Leontievich Benois. My great-grandfather, Alexander Tamanian (Александр Иванович Таманян) was a remarkable person, who transformed the Armenian capital city of Yerevan from a dusty, provincial place into one of the most beautiful cities in the world. He created the City Plan and designed many beautiful buildings, including the Opera House and the Government House. Alexander Tamanian was also very passionate about preserving historic architectural heritage of the country. Alexander Tamanian and his wife had four children, two girls and two boys. Unfortunately both girls died early, while both sons also became architects. George Tamanian (Таманян Георгий Александрович) was older than Julius and worked as an architect with his father and later continued his work. Julius Tamanian was only 13 years old when his father passed away. Straight after school, he was conscripted (compulsory drafting) to serve in the Soviet Army in 1939 and served until August 1945. During the World War II, he was in the artillery in Manchuria, in Northeast Asia. 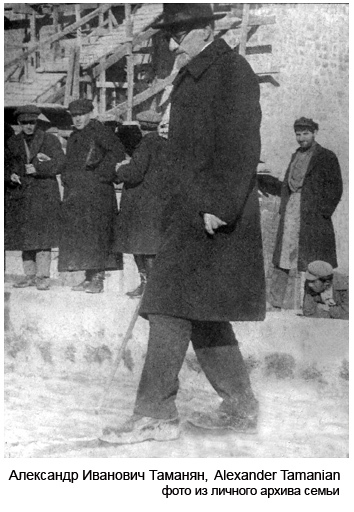 Julius was a Veteran of the Great Patriotic War (Вели́кая Оте́чественная война́). As many other war soldiers and survivors, he almost never talked about that time of his life. He came back to Yerevan and graduated as an architect from the Polytechnic Institute in 1953. He married a lovely woman, Knarik, and they had two sons, the oldest is my father, and five granddaughters. Julius worked at Yerevanproject, one of the largest Soviet drafting organisations and served as the vice-chairman of the Armenian Society for Protecting Historic Monuments and as a Director of that Society’s restoration workshop. Julius in fact, committed his whole life to continuing his father’s legacy in the task of historic architectural conservation and restoration. Julius and his team restored over 40 historical ancient monuments around Armenia, without making any changes or improvements to their original historic appearance. Many monuments were in an awful state because of neglect, damage from earthquakes and their antiquity. My grandfather’s work involved travelling to remote places, studying each monastery, church, bridge and other building carefully and holistically, taking photographs, doing the measurements, sketching, creating architectural plans for building restorations, overseeing the restoration work and protecting the monument in the future. 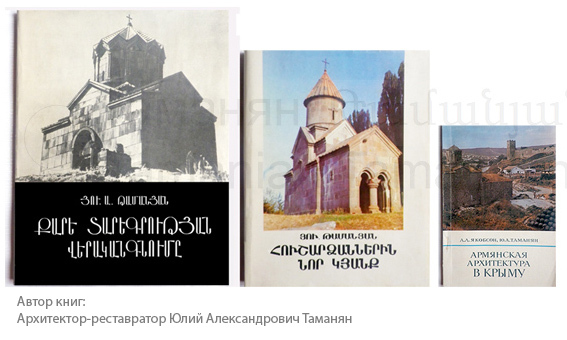 Julius was a member of the Architects of Armenia Union and published books in Armenian and Russian languages about the restored Armenian monuments. More information about the books is provided below in Russian. The following information and images are from Yuliy Tamanian’s books. Amberd fortress built in the X century on the slopes of Mount Aragats played a major role in the fight against foreign invaders. To the south-east of the palace, on the territory of the fortress, a Church was built in 1026 and it reached us in a highly dilapidated condition. 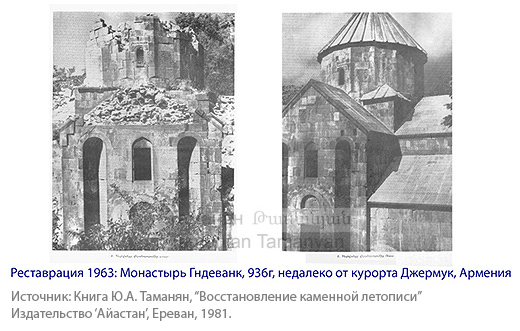 Restoration project of Julius Tamanian in 1970 provided for a partial relaying of the facade with addition of new stones and masonry of caved stones and restoration of the dome without disassembling. Artavazdik Church of VII-VIII centuries is located in the Ashtarak region in the village of Byurakan. Restoration of this church began in 1958 and was completed in 1959. St Sarkis Church is located on a rocky eminence to the east of Bjni fortress. It was built in VII century and reached us in a neglected condition. The restoration plan was drawn up by Julius Tamanian and S. Azatyan in 1969, based on the measurements of 1956. The restoration work began in 1969 and was completed in 1970. Gndevank monastery built in 936 occupies one of the most picturesque gorges of Arpa River near the resort of Jermuk. Monument reached us as a ruin. The restoration work began in 1963. I am so proud of my grandfather! He firmly believed in the importance of conservation and restoration of architectural monuments as a legacy for the Armenian people. In 1964 the Armenian Society for Protecting Historic Monuments launched its work in all corners of the country with the involvement of students and young people. · Measurements and excavation plans of prehistoric man (5000-3000c BC) in Yerevan. · Astvatsatsin Church in Areni built in 1321 by architect Momik on the edge of the canyon of the river Arpa. · Bath in the Amberd Fortress, work commenced in 1972. · St Karapet Church and Voyskovaya Church in Alayaz, XIII century. · Jukhtak Vank monastery in Dilijan with two churches- St. Gregory (XII century) and Astvatsatsin, built in 1201 by master Sargis. · Church Astvatsatsin in Vahanavank built in 1086 is a two-storey church. · Astvatsatsin Church in Voskepar is a cruciform-plan building, dating VII century. · Monastery Ayrivank (IV-XIII centuries, in Kamo district), built on a rocky shore of Lake Sevan. · Church in Christopher Monastery (VII century, Talin district). · Church in Ddmashen village (VII century, Sevan district). · Makravank Monastery (XIII century, Hrazdan district). · Temple Targmanchats in Aygeshat village, Echmiadzin region. · Marine Church, XIII century in Ashtarak. · Haghartsin Monastery, X-XIII century, near Dilijan; Holy Virgin Church (1281); St Grigory Church, X-XI centuries, restored in 1981-1982. Julius Tamanian’s hard work, dedication, talent and love for his country is an inspiration to us all. By ‘breathing new life’ into old ancient monuments, my grandfather and people like him, have preserved them for us and future generations to enjoy and made a valuable contribution to our society. The memories of my dear grandfather live on in my heart and in the restored architecture that I know is still standing in Armenia today. 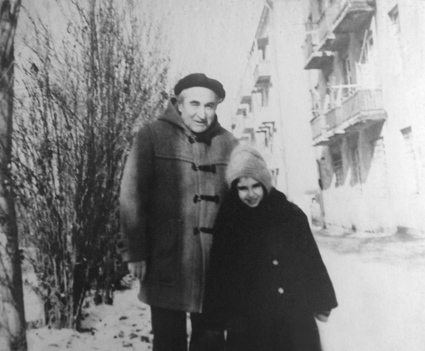 In Russian about a wonderful architect Gurgen Mnatsakanyan, brother-in -law of Julius Tamanian. He designed a wonderful Sundukyan Drama Theatre in Yerevan and was awarded the Armenian State Award. 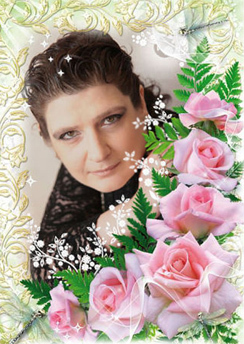 Please go to http://ru.hayazg.info/ and search for Мнацаканян Гурген Степанович. Восстановительные работы- Информация взята из книги Ю.А. Таманян, “Восстановление каменной летописи”, Издательство ‘Айастан’, Ереван, 1981. Подробнее в самой книге. Церкoвь Артаваздик, VII-VIIIвв, область Аштарак, село Бюракан. Реставрация была начата в 1958г и завершена в 1959г. Гошаванк, на протяжении почти десяти лет на крупном средневековом ансамбле в Гоше производились реставрационные работы. Монастырь Агарцин, (X-XIIIвв) около города Дилижан, церкoвь св. Григора (X-XIвв) была реставрирована в 1981-1982 гг, церкoвь Св. Богородицы (1281г). Церкoвь св. Саркиса (VIIв) в Бжни, располагается в долине реки Раздан. Строение церкви крестообразной формы. Реставрация проводилась в 1970 году. Thanks for reading, liking and following! 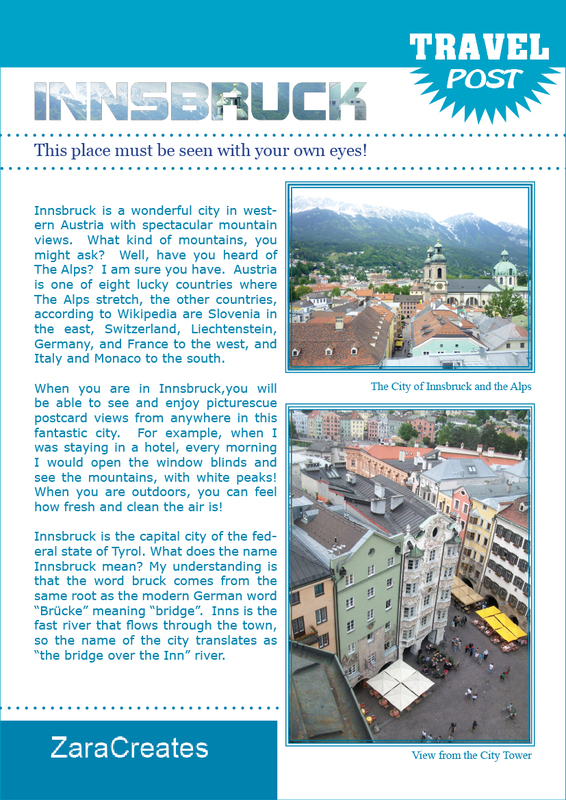 Austrian city of Innsbruck will always have a special place in my heart and here I show and tell why it is so great! Please enjoy Zara Creates Travel Post magazine style! Please click on the image and then scroll down and click on View full size link. Hope you enjoy it! 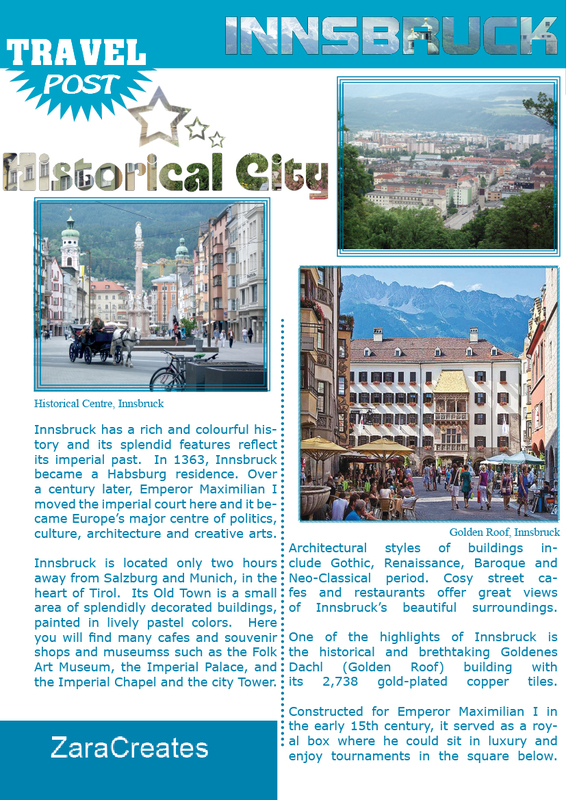 I hope you have enjoyed my previous post about Innsbruck. Today I want to share with you more images and tell you about the history of the place. 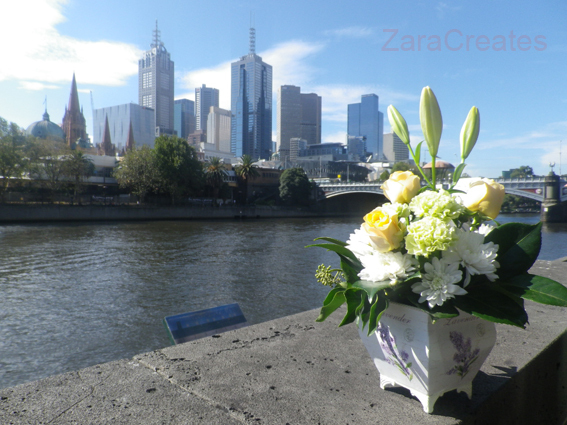 Enjoy the second part of Zara Creates Travel Post! To read, please double click the image below. I am happy to say that more Travel posts are coming. I enjoy traveling, as you may know from following my blog. I think visiting other places is the most meaningful and enjoyable part of life! With Sochi Olympics in Russia coming up very soon in Feb 2014, I am excited to share with you my images and some information about a city which has held Winter Olympics in 1964 and 1976! This Austrian city is called Innsbruck and it is one of my favourite places because of the magnificent mountains, The Alps and gorgeous architecture. Here is the first part of Zara Creates Travel Post. I hope you’ll enjoy it and get inspired to visit this remarkable and peaceful place in Europe. Last summer I spent a few months in Europe. The memories are still with me and I will always remember the beautiful piazzas of Rome, gardens of Vienna and the architecture of Budapest. I saw a lot of museums, palaces and churches, which were all richly decorated with sculptures, golden details, marble, stone carvings and paintings. 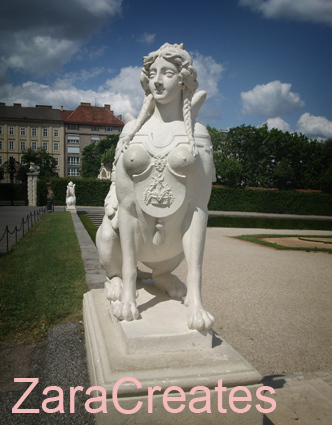 I saw a lot of naughty things in Europe, especially the sculptures were life like and interesting. Here are a few of them. She grabbed the knife and stubbed it. The red content splashed everywhere! Oh, what have I done, she thought, how will I explain it on my fingers and on the knife and on the white tablecloth. She looked down on the carpet. A red stain, the size of a coin. I’ll clean it later, she thought. Without hesitation she grabbed it and tapped on it with a spoon and the seeds fell out on the plate. 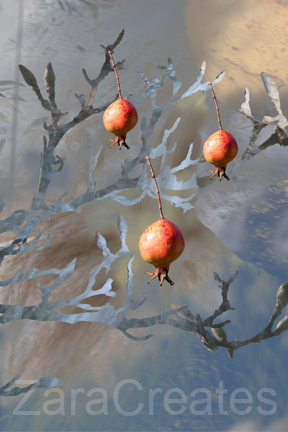 Oh, how she enjoyed it, the Pomegranate- the symbol of life, fertility and good fortune. I was lucky enough to see Pope Benedict XVI in Rome in June 2012. He conducted an evening mass in front of Santa Maria Maggiore Church. It was an unforgettable night, waiting for 3 hours for the Pope’s arrival in the Papa mobile, seeing the procession of nuns and priests and hearing the singing of the crowd and the Pope. 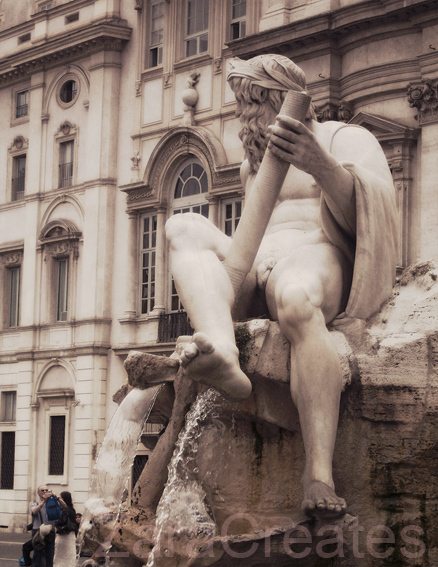 This image was taken when I was inside the Vatican Museum. Through the window I saw St Peter’s Basilica and feel lucky, as not many people have seen it from this side. It is sad, that Pope Benedict XVI is retiring, but I hope the next Pope will be younger and stronger and will unite all the Catholics.